Providing Residential & Commercial HVAC Repair Services in Raleigh, NC. We have served the residential and commercial HVAC needs of Wake and Johnston Counties since 1999. 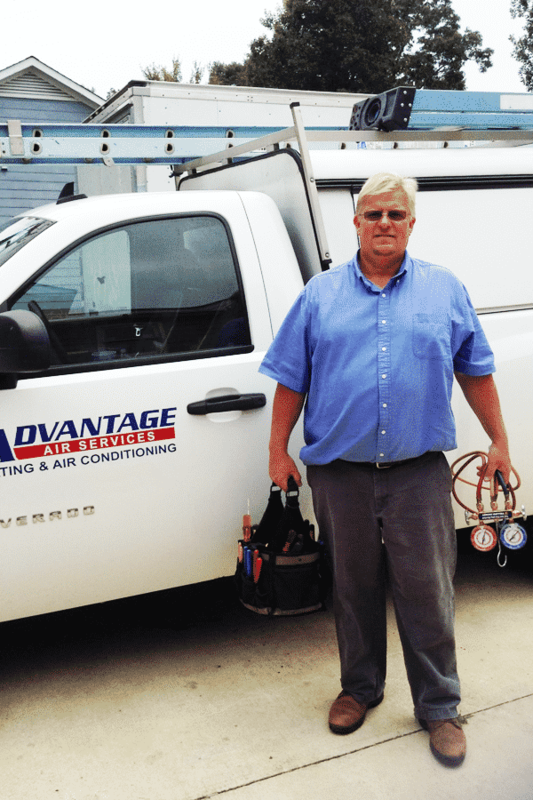 At Advantage Air Services heating and air conditioning, we provide services for all your heating and cooling needs. Advantage Air Services is committed to bringing clients the best service. We always provide fast, honest, reliable service at a fair rate. We are your premier source for service, repair and maintenance on most makes and models of heating and air conditioning systems. At Advantage Air Services, we charge flat rate for the job not by the hour, ensuring that you get the best price. Your satisfaction with our products, services and technicians is guaranteed. At Advantage Air Services, no job is ever complete without your being 100% satisfied with the work.